The man who painted “Mona Lisa” was the first Renaissance man, Leonardo Da Vinci born in Italy on 23rd April 1452. He was a talented Painter, Scientist, Inventor and Musician. Renaissance Italians has taken the name of their birth city as part of their full identification. 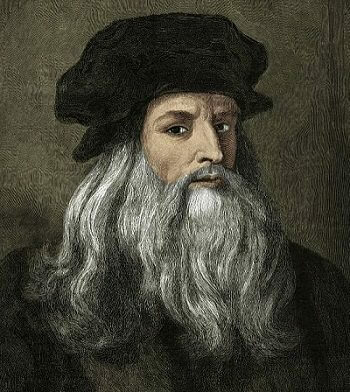 And so, Leonardo by virtue of being born in Vinci was known as Leonardo Da Vinci (Leonardo from Vinci). 1] Illegitimate: Leonardo was the illegitimate (born of unmarried parents) and he later had 17 half-brothers. He was born to a peasant girl of 16 years named Caterina and a 25 year old Ser Piero di Antonio , a notary. 2] Native Land: Although history noted that Leonardo of being born in Vinci, located about 50 kms to the west of Florence, Italy deep in Luscany region. It was a rumor that Leonardo was actually born in Anchiano; a town located about 3 kms from Vinci. Anchiano also boats a farm house that many people think is where Leonardo first entered this world, fittingly nick named the “Casa Natale di Leonardo” (literally known as Birth House of Leonardo). 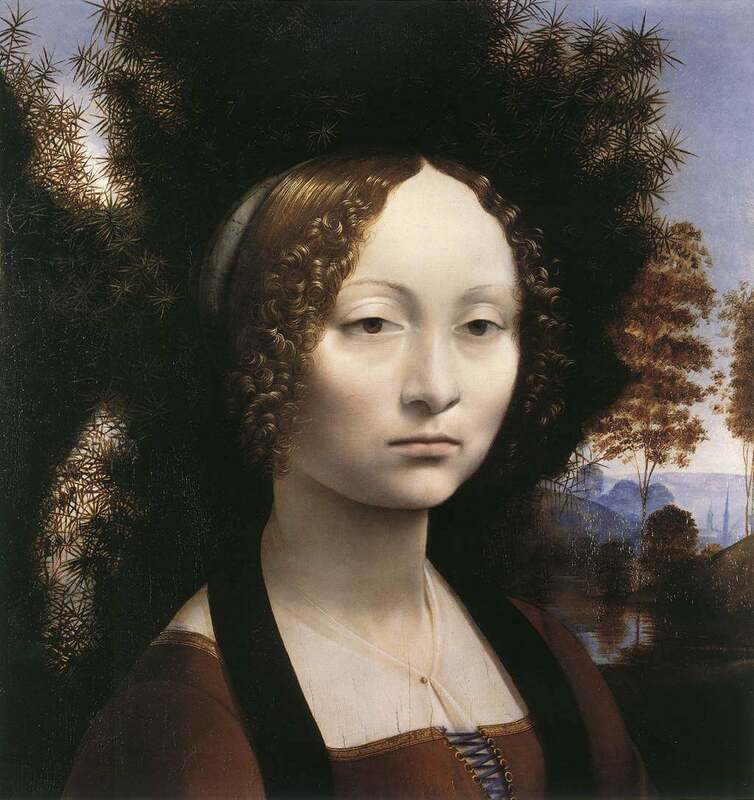 3] Apprenticeship: Leonardo started his career as a court artist at early age of 17 (while living with his family) as apprenticed to most respected artist in Florence, Andrea Verrochio (1435-1488), a goldsmith, painter, musician. He would teach himself Latin, mathematics, human anatomy and physics; even he wouldn’t learn a university education. 4] Most Influenced Person: Leonardo much attached to his uncle Francesco (Father’s brother) who was a farmer and land owner. His parents were separated at his early life and married to other persons and bore children. 5] Youthful Adventures: Most of us start showing signs of our adult personalities as children. During his youth, Leonardo probably spent hours on end observing nature first-hand and his early sketches were studies of landscapes, plants and animals. In his future artwork, he used his skills to create realistic looking natural scenes, with human figures and landscape paintings. He studied music and singing in his formative years. He simply had too much exposure to different things as a child. He was known for starting more tasks than he finished, his notebooks reveal many ideas that never actually took shape. Maybe he tried so many things, he never learned to focus one at a time. Self-educated. 6] Sinistrality: Leonardo was left-handed which oriented towards right hemisphere of the human brain controls art, music, creativity and emotions. One of the Leonardo’s earliest known drawings, “A pen and ink landscape of Arno Valley” from 1473 is one of the first drawings ever to detect in a truly realistic convincing style. 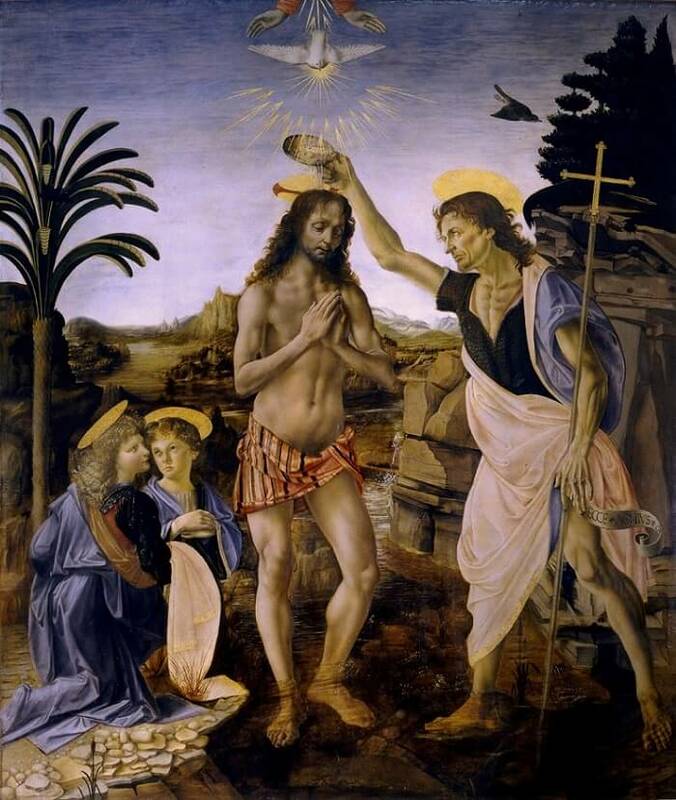 7] Oil Painting: After leaving apprenticeship of Verrochio, Leonardo joined the Company of Painters guild in 1472, worked for 5 years before opened his own art studio in Florence. 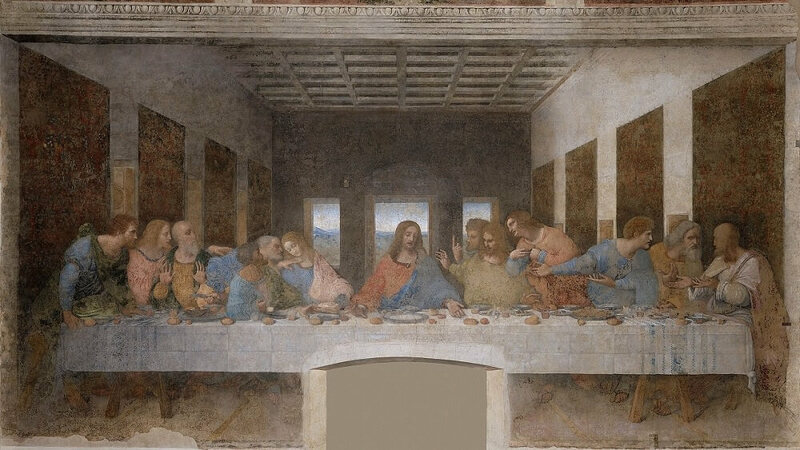 8] Patronage: By 1480, Leonardo had established his own studio in Florence and become well known to acquire a patronage (support) under Lorenzo de Medici, being a richest family in Italy. He became a member of grden of San Marvos. But it didn’t last long. In 1482, Leonardo became court painter under patronage of Ludovico Sforza, a duke of Milan whose relationship lasted until 1499. Here Da Vinci learned about military equipment and machinery as Sforzas are warriors, family of mercenary soldiers. In early 1500s, Leonardo travelled with Cesare Borgia, a notorious political figure lived from 1476 to 1507. Work under him designing war machines as a military engineer and architect. Atlast return to Milan in 1506. Later Leonardo found patronage as a court painter under King Louis XII of France (1462-1515) who later became ruler of Milan in 1500. There Leonardo learned botany, hydraulics, mechanics and other sciences. 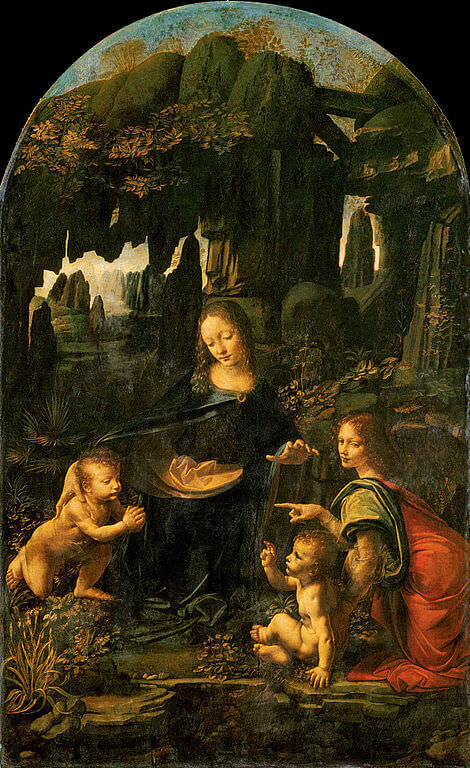 Leonardo Served under patronage of Giulano de medici, son of Lorenzo from 1513 to 1516. From 1516 to until his death in 1519, Leonardo worked for the court of Francois I (1494 – 1547), the king of france. 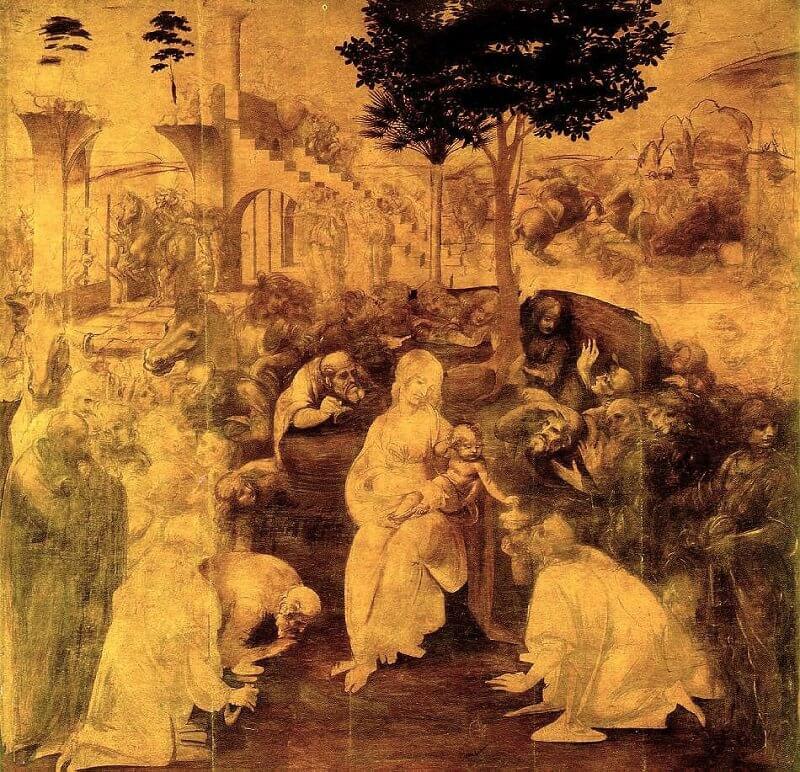 9] Documentation: During Leonardo’s years in Milan at the court of Sforza, he had number of apprentices and students. He even wrote training guides for them and documents collected in the form of “A Treatise on Painting”. 10] Chiaroscuro and Sfumato techniques: Historians largely credit Leonardo with developing critical artistic innovation known as ‘Chiaroscuro’ which translated from Italian means ‘clear/light & dark’. This technique used first time a renaissance painter had contrasted light and dark colors help to create three dimentional images. 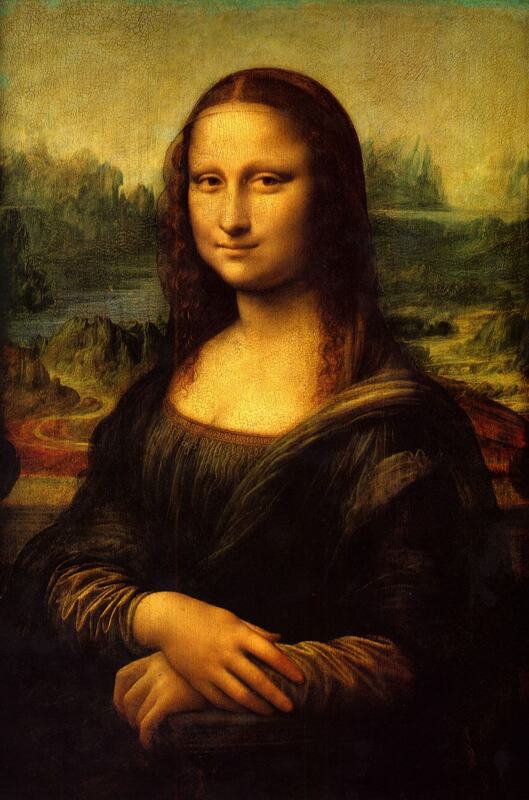 Similarly, he used ‘Sfumato’ technique for Mona Lisa painting. 11] Cartographer: Leonardo was also pioneer in the field of cartography, particularly in the production of accurate city maps. His map for the town of Imola, produced during his time in Florence around 1502, is thought to be one of the first geometrically precise toen plans. 12] A Polymath: In addition to working on many projects and architectural designs, Leonardo also devoted much of his time on various fields. He was a skilled painter, architect, inventor, scientist and geometrician. As born genius and good at many things, he simply unable to focus on all of them. He loved to investigate on scientific pursuits which are quite contrast to medieval world, led him to study on anatomy and zoology. He performed detailed dissections on both animals and humans. He was also interested in botany, geology and the behavior of water fluids. His drawings on human ribcage, spine and coccyx are highly accurate. Leonardo’s interest in flight led him into engineering, where he invented flying machines. He also spent time as a military engineer, inventing new weapons and defensive mechanism. His other inventions ranged from improvement in printing press to a diving apparatus that would allow swimmers to breath under water. Leonardo also made notes on astronomical topics such as nature of the Moon, Sun, Stars and Fossil formation. 13] His Will (Legacy): Since he had no wife, children or other close relatives, Leonardo chose to leave the bulk of his estate to his pupil and close friend Francesco Melzi. He left atleast 50 notebooks (may be more) to melzi, unfortunately 28 survived. 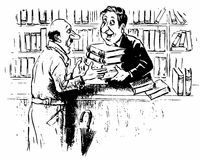 14] Codices: Codex is simply called ‘collection of manuscripts’. About 5000 pages of Leonardo’s notes still exist today which they have been arranged into separate volumes called ‘Codices’. Each codex has a separate name. Most popular of them is “Codex Atlanticus” which is popularly known as Windsor collection is currently located in the Biblioteca Ambrosiana in Milan. This volume contains hundreds of sheets of Leonardo’s original works, most of which dated from 1480 and 1518. 15] Homosexuality: while being Gay was fairly common during the Renaissance, its practice was a crime that could be punishable by death. A massive study by Sigmund Freud using notebooks of Renaissance master revealed much which he gathered and presented in his book in 1910 called “Leonardo da Vinci and a memory of his Childhood”. 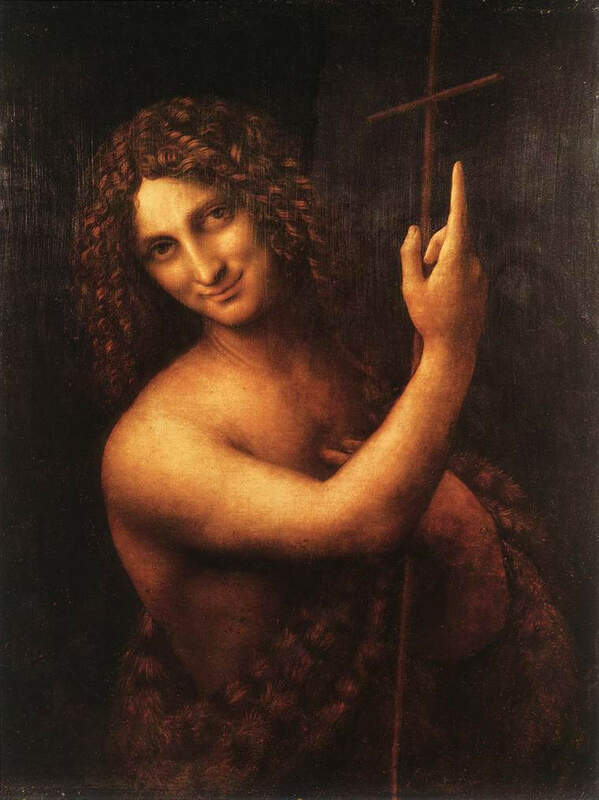 He came to conclusion that Leonardo had homosexual tendencies who spent most of his childhood with his father, uncles and other male relatives due to absence of his mother (early demise). Although he was fiercely protective of his childhood, he was accused of having an affair with a young male model. He was actually thrown in jail and stayed there for 2 months before charges were dropped. 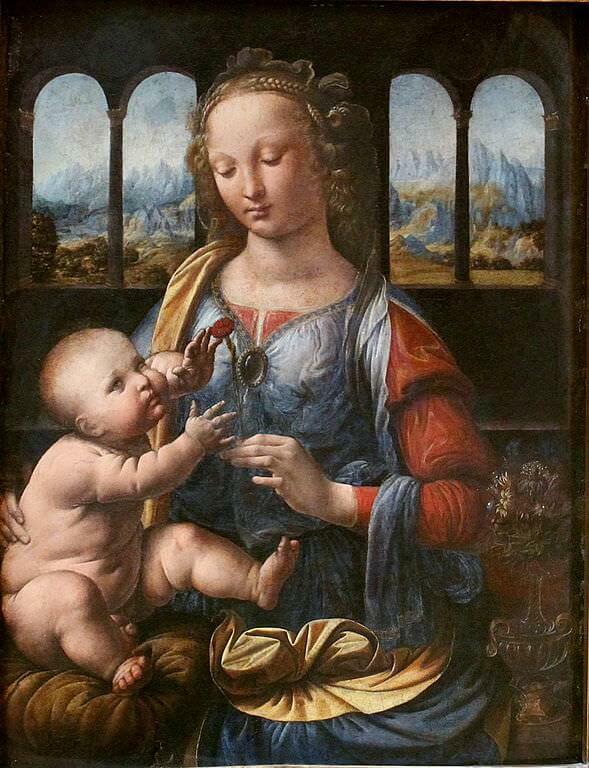 Appearing to have no sexual interest in Women, Leonardo shows likeness towards Men, particularly beautiful young virgins. He had long-term relationship with 2 of his students, Salai and Melzi, both assumed to have been his lovers. 16] Vegetarian: On account of his deep compassion for Animals, Leonardo was a vegetarian for most of his life. He also mentioned a vegetarian chef by name ‘Bartolomeo Platina’ (1412-1481) in his notebooks. 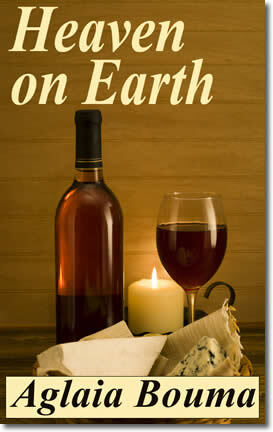 Common vegetarian recipes of the day focused on innovative combinations of herbs and spices with vegetables and pasta. 17] Eccentricity: Leonardo was different; his ways of thinking were dissimilar from other people. 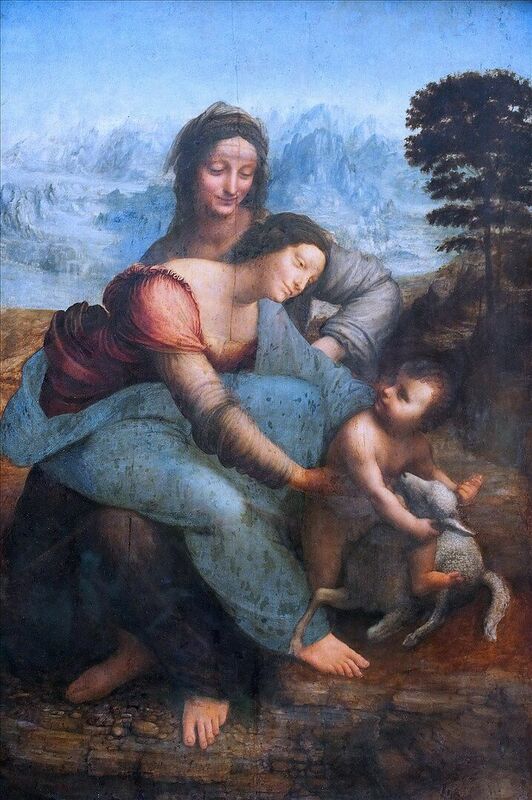 Twentieth century health professionals tried to diagnose Leonardo with various illness and ailment such as Dyslexia, Bipolar disorder Manic-depressive disorder), etc..
One such is Attention deficit hyperactivity disorder (ADHD) which symbolizes being easily distracted, often failing to finish projects and frequently shifting from one activity to another. Leonardo da Vinci has been a fascinating character for centuries, but he has achieved a new degree of popularity, with the publication of Dan Brown’s wildly successful novel “The Da Vinci Code” This novel takes the reader through a historical murder mystery, with clues placed throughout various articrafts including the Holy grail and painting such as the Mona Lisa and The Last Supper.